← City Life Garden Fair & Advent’s Coming! Welcome to Advent at All Saints! 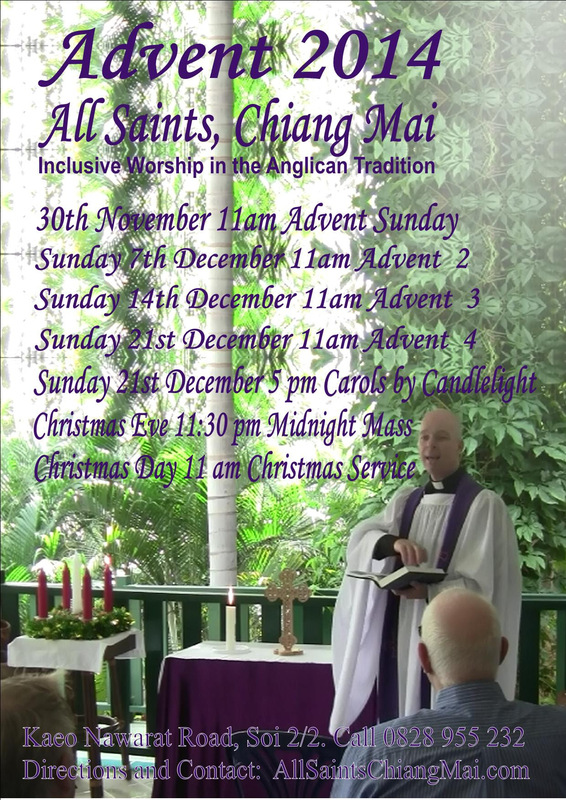 This Sunday, 30th November, will be the First Sunday of Advent. We will gather for our usual 11am Eucharist, which will include the lighting of the first candle on our Advent Wreath. Following the service we will share festive snacks, as together we decorate the church and put up our Christmas tree. All are welcome to share in this festive activity! Thanks again to all who helped with the All Saints stall at the City Life Garden Fair last Saturday, the day went very well. It was good to let people know that we are here and to invite them to our Christmas services. Last week I received a telephone call from India. A British man who lives there wanted to know if we will be having a service on Christmas Eve. I told him that we will have Midnight Mass beginning at 11:30pm. “That’s all I wanted to know,” he said, “I will be there!” Our fame is spreading around the globe! Choir practices for our candlelit Nine Lessons and Carols service, on the 21st December, begin this Wednesday. If you’d like to be part of the choir, contact me or Harvey before Wednesday evening! Our Wednesday Night Bible Study on women in the Bible also continues at the church at 7pm. This Sunday our Advent readings are Isaiah 64:1-9, 1 Corinthians 1:3-9, and Mark 13:24-37, and we will be singing the hymns O come O come Emmanuel, God You Alone Know, Sing we the King who is Coming to Reign, and Come Thou Long Expected Jesus! You can find the readings via this link. Our sermon will be reflecting on Christ’s coming.